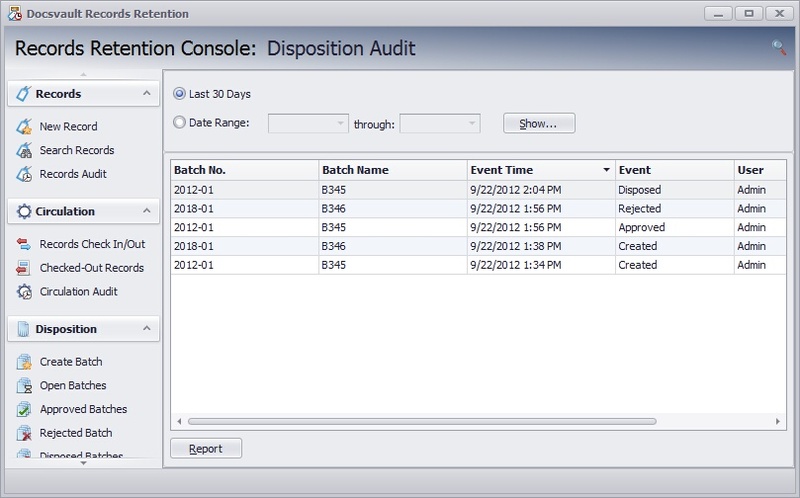 The disposition audit displays all of the events that occur during a disposition workflow. The administrators can view the contents of the audit log and sort/filter the data to analyze activity across a disposition procedure. Audit report enables you to use the raw data in audit log to construct a meaningful picture of what actions have or have not occurred in a disposition procedure. The reports can be readily saved in a useful format for review.